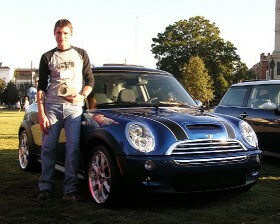 Due to popular demand (and a little insider-info on my end), here is some new info on the new 2007 MINI. Please note that this DOES NOT include the Destination & Handling charge, which has gone-up to $650. 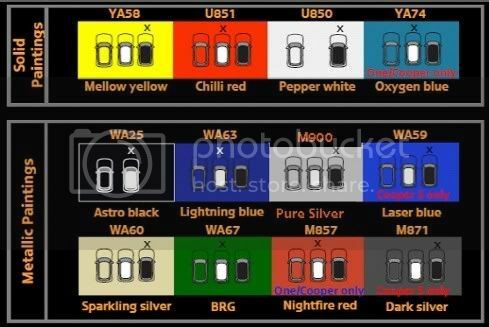 Again, the Convertibles are NOT changing next year, with the exception of some new colors. The first round of 2007 cars will be pre-specked from the factory and we cannot change them, so if you are ordering a new MINI you may have to wait until mid- to late-February to get it. The Automatic Transmission in the Cooper S will not be available until March production, so expect an early May delivery on those. Building of the Automatic Coopers will start in December as originally planned. Both the Cooper and Cooper S will feature a 6-speed Getrag manual transmission, though not the same on both cars. ALL MINIs will now come with a standard traction control system (ASC), not just the Cooper S. Also standard on all cars will be the On-board Computer (fuel consumption) and a Sport Button, which "increases the throttle response, tightens up the steering and if you have an automatic, adds additional shifting programs." The Cooper S will pick-up Front Fog Lights as standard. The factory-installed John Cooper Works kit for the Cooper S Convertible will not be available until March production. Rumors are that the JCW kit for the new engine will be out in Fall of 2007. Pricing for the Premium, Sport, and Cold Weather Packages will remain unchanged. Premium Package looses the On-board Computer (now standard) and gains the option of a Wood Steering wheel or Leather steering wheel (both with multi-function). Sport Package looses Front Fog Lights in the S (now standard). Cold Weather Package remains unchanged. Pricing on the Convenience Package will go up to $1,400 and will include universal garage door opener, keyless comfort access, auto-dimming rearview mirror, center arm rest, rain sensing wipers and auto headlights, and a universal mobile phone prep (I have NO IDEA what that is). There will be a new Hyper-Sport Package now (available with March production), including a factory-installed Aero Kit and Sport Suspension Plus (not sure if this is the JCW Suspension or not). Lastly there will be an upgrade Audio Package, including Sirius Radio, HD Radio, and the new MINI Hi-Fi Sound System (not Harmon-Kardon branded). Tack-on another $1,400 for this satchel of goodies. Some new stand-alone options will be the Alarm System and Power Folding Mirrors (not available with Heated Side Mirrors) at $400 and $300, respectively. The Alarm System will not be available at first - not sure when, but we'll keep you posted. To go with the Wooden Steering Wheel will be the English Oak Dash at $300. We will also see a real Brushed Alloy dash option, also at $300 (not the old Alloy Patina). The Navigation System gets a face-lift to include Real Time Traffic and Extended Voice Control & a $2,100 price tag. I hear the new system is really "trick" so don't run-away at the sight of that price so quickly. Nav is a March production option also. Well guys and gals, that's about all I know, except that my new MINI will probably cost over $30,000!